The 'evil child' has infiltrated the cultural imagination, taking on prominent roles in popular films, television shows and literature. 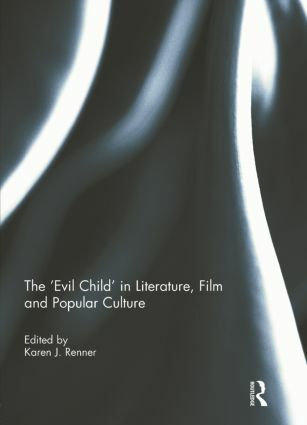 This collection of essays from a global range of scholars examines a fascinating array of evil children and the cultural work that they perform, drawing upon sociohistorical, cinematic, and psychological approaches. The chapters explore a wide range of characters including Tom Riddle in the Harry Potter series, the possessed Regan in William Peter Blatty’s The Exorcist, the monstrous Ben in Doris Lessing’s The Fifth Child, the hostile fetuses of Rosemary’s Baby and Alien, and even the tiny terrors featured in the reality television series Supernanny. Contributors also analyse various themes and issues within film, literature and popular culture including ethics, representations of evil and critiques of society. This book was originally published as two special issues of Literature Interpretation Theory. Karen J. Renner is Lecturer in American Literature at Northern Arizona University, USA. Her research interests include 19th and 20th century American Literature, Popular Culture, Childhood Studies, and the Horror genre. She has written many chapters and journal articles, and is the author of Perverse Subjects: Drunks, Gamblers, and Prostitutes in Antebellum America (2011).